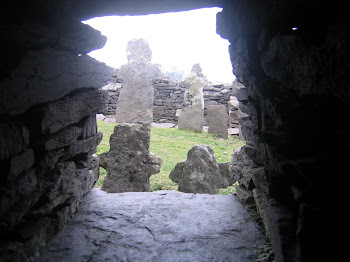 My Travel, Research and Dark: Tourists’ motivations for travelling to sites of death, sorrow and conflict: ‘The Easter Rising’ in Ireland and its relationship with tourists’ past experiences. Tourists’ motivations for travelling to sites of death, sorrow and conflict: ‘The Easter Rising’ in Ireland and its relationship with tourists’ past experiences. "Tourists’ motivations for travelling to sites of death, sorrow and conflict: ‘The Easter Rising’ in Ireland and its relationship with tourists’ past experiences." "Why particular groups of tourists are fascinated with sites associated with death?" People travel to their desired destinations, but some people are keen to visit sites which are linked to death and horror. Why? Is it due to their own relationship with a specific site? Or is it due to their personal interests? Do people take an interest in a specific site because of their own ancestral links with that site, or is there a dark side of the human psyche which generates a morbid fascination with death and sorrow? If some dark sites are related with their past and historical issues, how different are the experiences of tourists who have links to these sites and those who do not. The term “Dark tourism” was coined just 15 years ago and much literature has been produced studying the topic. Dark tourism (Thanatourism, Black spot, battlefield tourism however the term is defined) is being energetically studied and it has become a buzz term within the tourism industry. However, I strongly believe and agree that visits to so-called dark sites are not a new phenomenon. I believe that past tourists and adventurers have always travelled to sites where death and war occurred, sometimes centuries before. People are desperate to travel to dark sites even if they have never heard about the term of dark tourism and have never identified themselves as dark tourists. I was one of them. Therefore I intend to research tourists’ motivations in visiting dark sites. However I think tourists’ motivation are a broad issue, so I intend to research specific sites where the ‘Easter Rising’ occurred in Dublin to compare motivations among tourists. Inductive research approach may be used due to the fact that I intend to research tourists’ motivation. I think this approach is the most appropriate to analyse and understand people’s motivations, as well and social and human issues. Therefore qualitative research design may be used. I am planning to do a case study in Dublin to research sites where ‘the Easter Rising’ occurred. I may use interview and questionnaires as a research method. But I am also considering using experimental quantitative research in addition to detailed data and figures, rather than just relying on my own understanding and interpretation of issues. Overall, I may use mixed methods approaches. I am concerned that the subject of tourists’ motivations has been written about many times before, especially the view of dark tourism recently. It will be a considerable challenge to add something fresh to the already existing research. I believe that trying to understand people’s motivational factors is akin to understanding their psyche. Accordingly, I will check about Foucault’s psychology books which analyse the fascination of morbidity. However, I am afraid it might be require too in-depth a study about psychology. Analysing an individual’s mind and motivation is not an exact science. If you use mixed methods approaches, it will be great. In my opinion, only questionnaire is not enought for some research!